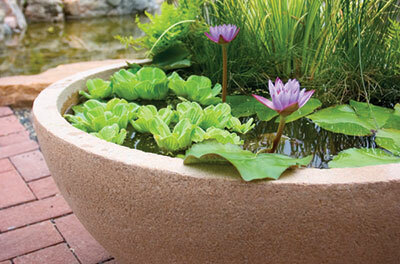 Patio Ponds are great for small spaces and make it possible to have a water garden almost anywhere. Patio Ponds are a unique gift idea for the pond lover! Interested in this Patio Pond? Contact us today to experience the relaxing benefits of the beautiful water garden lifestyle for yourself!